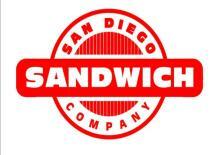 As an iconic part of the Serra Mesa Community for 40 years, San Diego Sandwich Company has provided top notch food and service to its customers. The current owner Cindy started as a young woman working in the shop and eventually purchased the business 20 years ago. Since Cindy took over San Diego Sandwich Company, she has kept alive the deep tradition of the classic deli by having fresh baked bread daily and slicing all meats, veggies, and cheeses in house. San Diego Sandwich Company has been dedicated to giving back to the community by having surrounding schools tour the shop, showing kids the ins and outs of the business and of course letting them sample some of the delicious fare. The owner Cindy has also provided teachers in the area with free ice cream coupons to give to students who have displayed outstanding behavior or academic excellence. Hard working family owned and operated businesses are hard to come by now a days., but when you step into San Diego Sandwich Company you are always greeted with a smile and you always expect an amazing sandwich experience. The clientele consist of mostly regulars for a reason, come in one time and you are hooked!